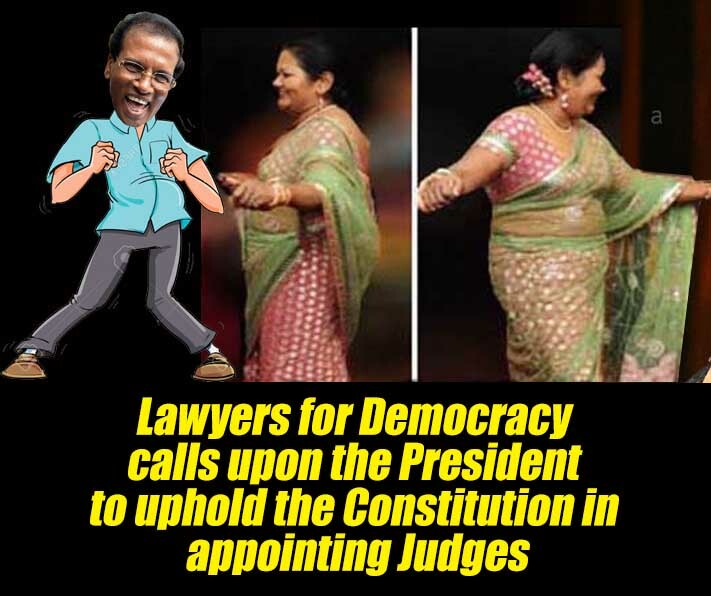 (Lanka e News -09.Feb.2019, 10.00PM) Lawyers for Democracy (LfD) is gravely concerned with the current constitutional impasse created due to the delay in appointing the President of the Court of Appeal. The process of appointment of judges set out in the Constitution must be respected to the letter and spirit of the Constitution. LfD notes that this delay sends a deeply troubling signal that the Constitution is to be disregarded according to the whims and fancies of the Executive and contrary to the Nineteenth Amendment to the Constitution. LfD takes this opportunity to urge President Sirisena to revisit his own pledges and to take immediate steps to uphold the Constitution.